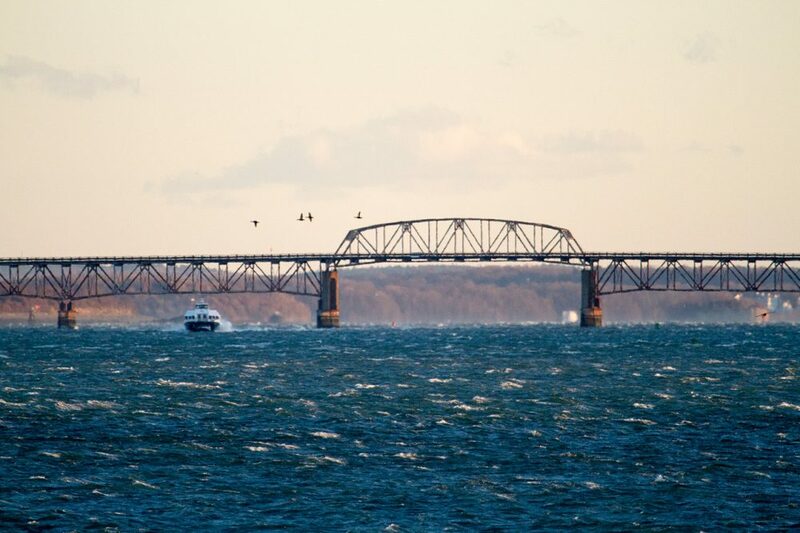 The demolition of the two-lane Long Island Bridge, which connects Quincy to the largest Boston Harbor island, is set to start on Monday and replacing the bridge, if expedited, will take two to three years. Boston Mayor Marty Walsh announced the start of demolition and project timetables on Monday. The work includes the removal of utilities on the bridge and installation of new utilities in the seabed. Demolition is expected to be completed by April 30. Chicago-based Walsh Construction Company won the demolition contract with the lowest out of seven bids, at $20.6 million. First opened in 1951, the bridge was abruptly closed on Oct. 8, 2015, forcing the displacement of homeless and recovery guests on Long Island Shelter after Boston officials cited public safety concerns and and closed the span out of an "abundance of caution." According to Walsh's office, the design of the new bridge will cost $9 million and take up to an expected 12 months. Half of the funds will come from the Massachusetts Department of Transportation. The cost of building a replacement bridge is pegged at over $80 million and could take between 24 and 36 months, Walsh's office said.